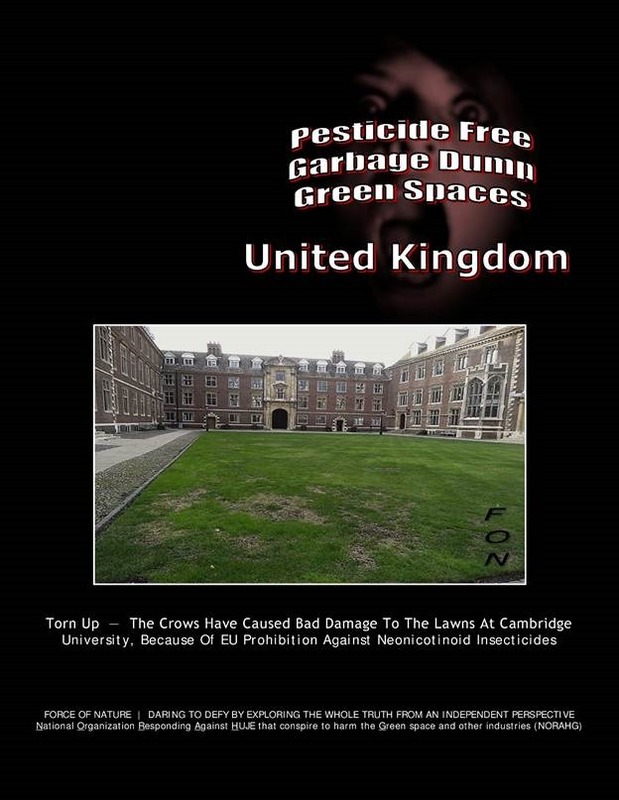 The immaculate lawns of Cambridge University are being spoiled by crows feasting on European Chafer Grubs after ARBITRARY EUROPEAN UNION PROHIBITION against Neonicotinoid Insecticides, it has emerged. As a result, crows have had a field day digging up the lawns looking for the Chafer Grubs, a soil-dwelling insect that feasts on the roots of the grass. That makes the lawn vulnerable to damage and when the crows dig for the Chafer Grubs the weakened grass roots mean they also dig up the turf. The famous lawns at seven colleges have been DESTROYED, and two, at Jesus and Pembroke, are having to be RENOVATED AND RE-TURFED. 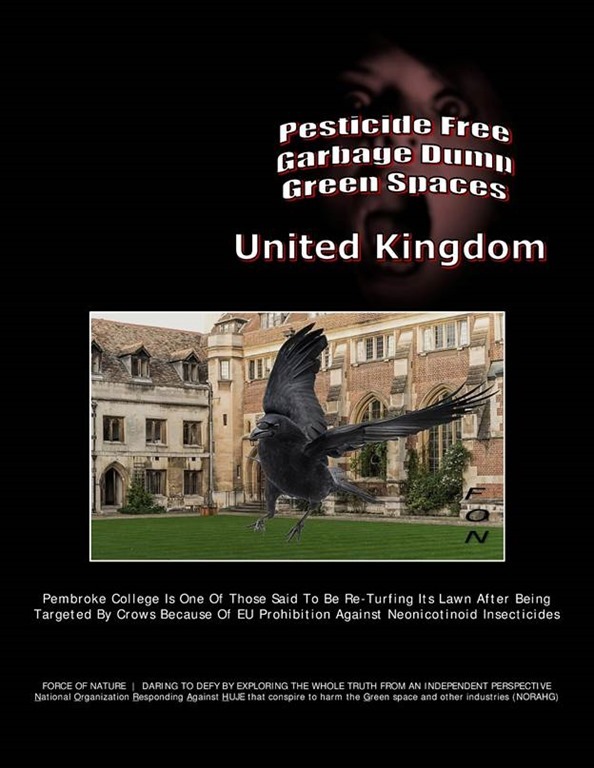 The colleges have introduced Nematode Insecticides, microscopic worms that eat and destroy the Chafer Grubs, in a bid to combat the problem. But that is not without its problems and Jesus College had to RENOVATE AND RE-TURF their entire first court lawn because Nematode Insecticides DID NOT WORK !. The situation has become quite severe over the last two to three weeks and large areas of lawn have suffered as a result, First Court in particular. THE USE OF NEMATODES HAS PROVED UNRELIABLE. Our gardeners will apply topsoil and seed along with fertiliser, which the birds dislike [ ?!?! ], once the destructiveness has ceased. Some people are asking why some colleges are affected and not others. The Chafer Grubs like light sandy soil like the soil at Selwyn. Wolfson and Robinson don’t have the problem because they’re on clay. Thankfully because the Chafer Grubs cannot fly very far or very high making it hard from them to travel between colleges. However, Mr Gallant said that Selwyn’s infestation had come over from the Sidgwick site. In April 2013, the EU IMPOSED A EUROPE-WIDE ARBITRARY PROHIBITION of three bee-harming pesticides called Neonicotinoids, including the active ingredient imidacloprid. 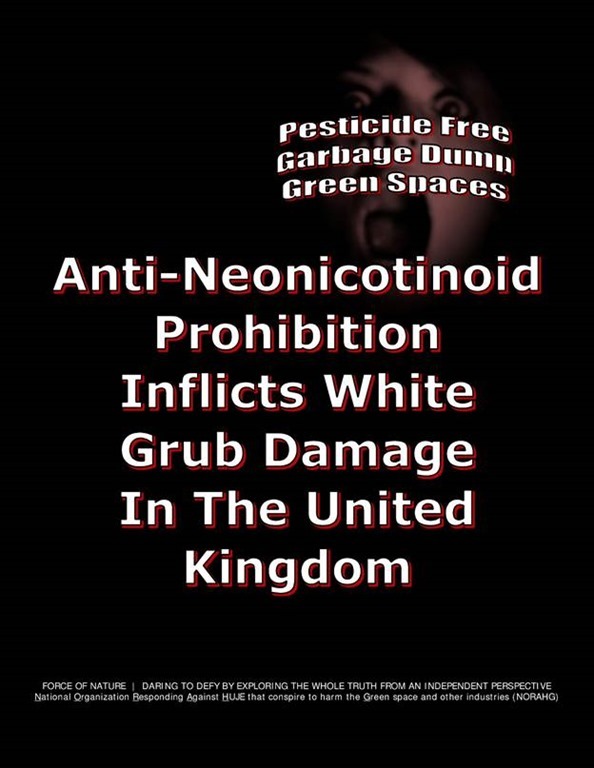 In January 2016, this ARBITRARY PROHIBITION was reviewed, but in April 2016 it was confirmed that imidacloprid, a Neonicotinoid Insecticide, is somehow highly toxic to bumblebees [ ?!?! ] and was taken off the market. The winter weather could halt the problem temporarily as the cold will make the Chafer Grubs go deeper into the soil and out of range of the crows. But if they do burrow down the problem will come back in spring, just in time for the annual May Ball. Is Wrecking Our Grass ! 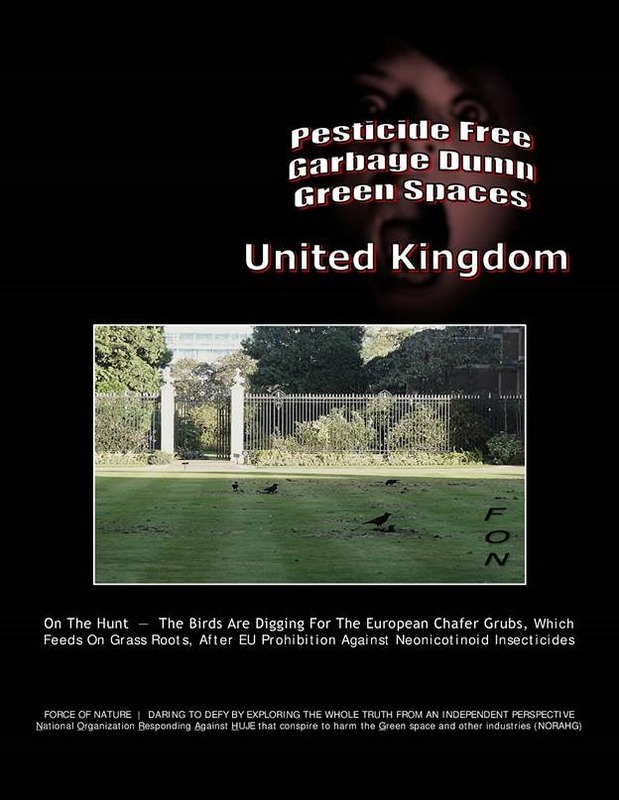 Lawns at seven colleges have been blighted by birds digging up ground in search of the Chafer Grubs, an insect that lives in soil and feeds on grass roots. 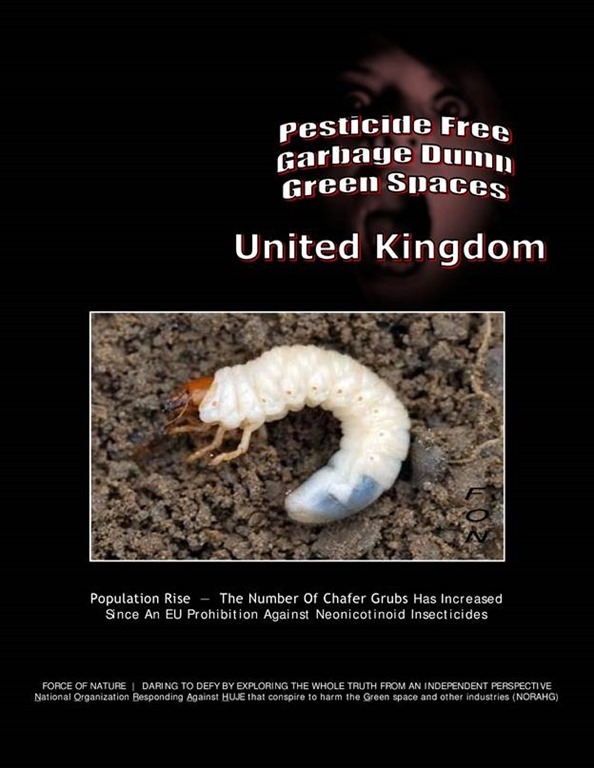 The population has soared since the IMPOSITION of an ARBITRARY EU-WIDE PROHIBITION against Neonicotinoid Insecticide called imidacloprid. The problem is so severe at two colleges, Jesus and Pembroke, that the lawn is being RENOVATED AND REPLACED. Gardeners have applied Neonicotinoid Insecticides that eat Chafer Grubs in a bid to combat the problem, but the method DOES NOT WORK. 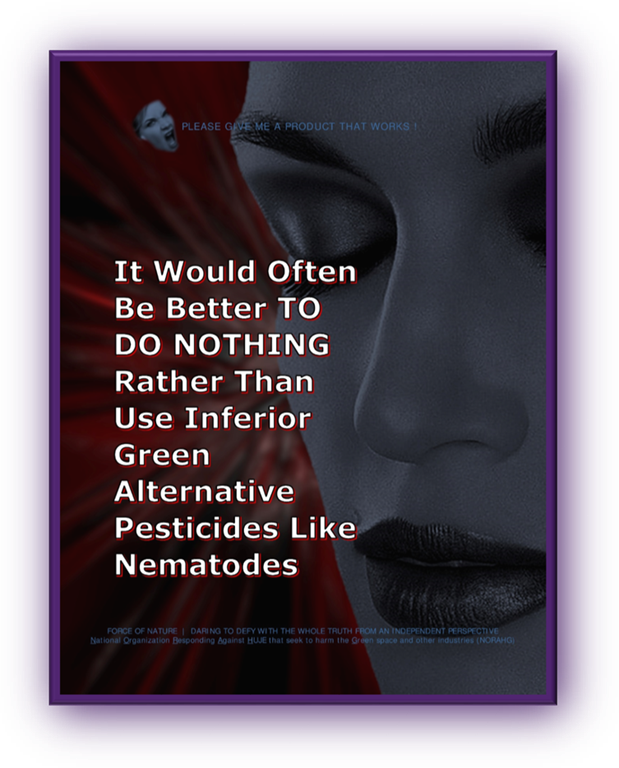 NORAHG Responds Against Nematode Insecticides ― Using Them Amounts To Doing Nothing ! 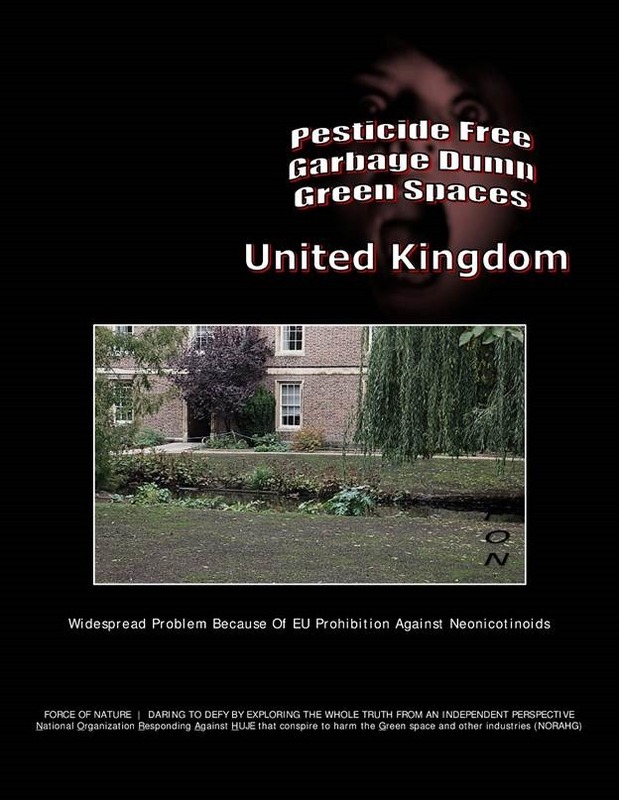 With reckless and arbitrary pesticide bans, green spaces invariably become PEST-INFESTED DANGEROUS GARBAGE DUMPS. 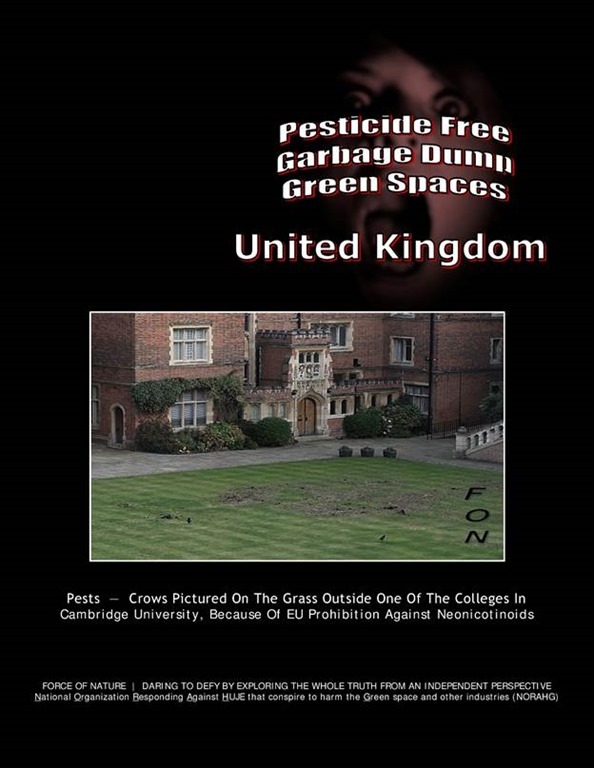 http://wp.me/P1jq40-44g http://wp.me/P1jq40-4z3 http://wp.me/p1jq40-7C4 Cambridge University had better get used to living with GARBAGE DUMP GREEN SPACES, since it is IMPOSSIBLE to adequately control damaging pests, like European Chafer, without the use of conventional insect control products. Recommending entomo-pathogenic nematode insecticides for controlling damaging insects of turf is mis-guided and wrong ! It would be better to do nothing rather than use nematodes. Entomo-pathogenic nematode insecticides are not viable, efficacious, practical, or economical green alternatives to replace conventional insect control products. Entomo-pathogenic nematode insecticides cannot be consistently considered as true alternatives to conventional insecticides, since the insect pests are often only suppressed, and not controlled. Laboratory and field tests tend to indicate that the best nematode species are only marginally effective in controlling insect infestations. On the other hand, conventional pest control products fully and effectively control insect pests. 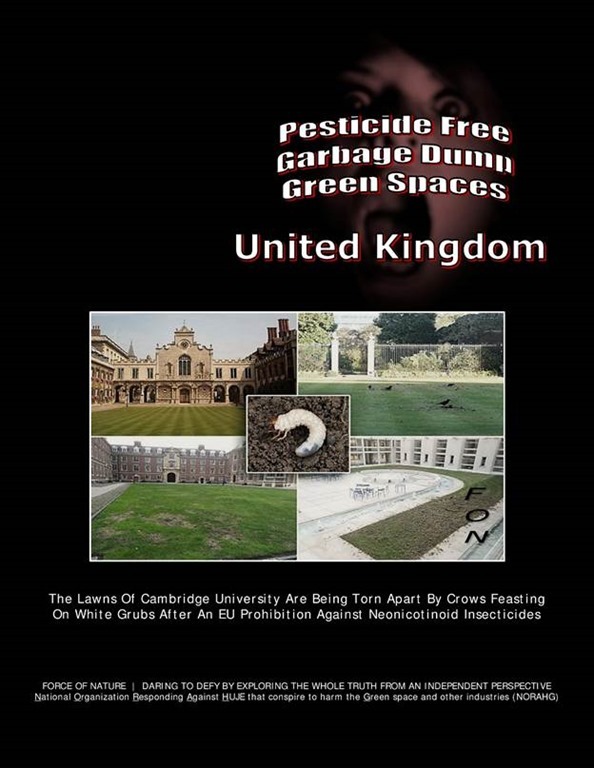 In fact, conventional insect control products, such as Merit ( imidacloprid ), are deemed safer than entomo-pathogenic nematode insecticides. NO ONE WANTS THIS #@! !% NONSENSE ! WE SPEAK THE WHOLE TRUTH ABOUT NEMATODE INSECTICIDES, FROM AN INDEPENDENT PERSPECTIVE !